Chris Pratt has debuted the new trailer for 'Guardians of the Galaxy Vol. 2'. 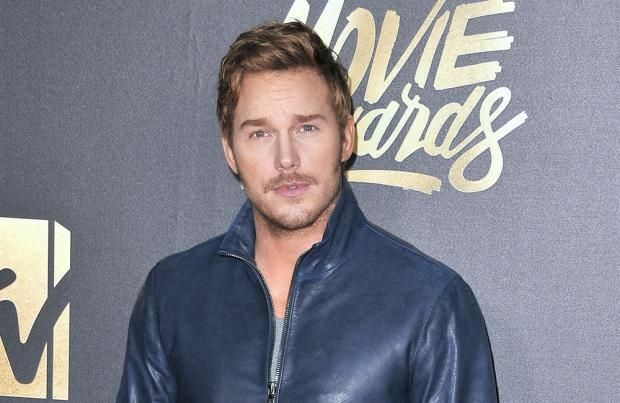 The 37-year-old actor - who has reprised the role of Star-Lord for the Marvel movie - showcased new footage of the much-anticipated sci-fi film during an episode of 'Jimmy Kimmel Live!'. The new trailer serves as an introduction to Kurt Russell's character Ego the Living Planet, who is seen telling Sky-Lord: "After all these years, I've found you." To which he responds: "And who the hell are you?" Then, Ego the Living Planet tells Star-Lord: "I'm your dad." The new trailer also introduces the new villain Ayesha, who aspires to "cleanse the universe" of fear and jealousy. Meanwhile, Dave Bautista - who has reprised the role of Drax the Destroyer for the new movie - recently admitted he bombarded Kurt Russell with "fanboy questions" on the set of 'Guardians of the Galaxy Vol. 2'. He said: "I didn't want to hit him with all of the fanboy questions right off the bat, but as soon as I got comfortable with him I did. He's great and super down to the earth, he's a very social guy and doesn't like to separate himself from the younger cast, he's got a lot of great stories, he's very good looking ... he's a very interesting guy!" Asked what the pair spoke about, he added: "The first thing I asked him about was 'Big Trouble in Little China', I just wanted to know more about that, and what he thought about The Rock being recast as Jack Burton and he said, 'Ah, I don't care.' And I said 'Really?' I was really upset by that because to me, The Rock is not Jack Burton, like Chris Pratt would make a much better Jack Burton. "I take that stuff very personally, because I'm a fan boy first, I am a geek at heart. So, he just didn't care, 'Oh I'm sure he'll do a great job' and then of course I asked 'Escape from New York' questions, and we had a lot of good conversations about that."